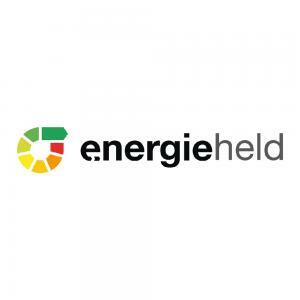 energieheld keeps growing rapidly. After opening our Dortmund branch on 1 March, we opened two additional branches on 1 April. Our new Hamburg branch will further increase our presence in northern Germany, where we are already very well positioned because of our Bremen branch and our Hanover headquarters. Our new Herford branch, together with our Dortmund branch, is meant to better meet demand in western Germany. With more than 130 inquiries in March, the Hamburg region saw very high demand once again. In and around Hamburg, we are already collaborating with over 15 specialized partners. In light of the high demand in that region, it was clear to us that we had to further strengthen the region. On 1 April, we finally did so by opening our new Hamburg branch supervised by Christian Westphalen. Prior to joining energieheld, Christian worked as a sales manager and energy counselor for a manufacturer of system houses, where he gained valuable experience in the area of renewable energy, particularly in photovoltaics. His very good network will help him during the launch of our Hamburg branch. Christian has also successfully built up a northern German branch for a recruiting agency before. By hiring Christian, we have managed to team up with a true expert on energy-efficiency modernization and on building up a new branch for our company. We are pleased to welcome him to our team. Our new Herford branch is meant to strengthen primarily the western German region of Westphalia. We have also received numerous inquiries from that region, and our new branch manager Thomas Hauschopp will help us deal with these inquiries in the best way possible. We had already acquired several partner craftsmen in the region before, and we acquired seven new partners there in March. Just like Christian Westphalen, Thomas Hauschopp came to Hanover to learn about the details of our business. "Everything is working very well, and I look forward to the new challenge in Herford." Thomas is also very familiar with craftsman businesses and the construction industry. Indeed, for more than 20 years, he worked as a construction and modernization counselor, so he has the relevant expertise and contacts. Both will help him deal with client inquiries in the Herford region in the best way possible. We are happy that we have managed to convince these two experts of energieheld. To keep growing, energieheld is looking for additional craftsman businesses that will help us meet the considerable demand. Consequently, we have launched our "partners recruit partners" campaign. During this campaign, craftsman businesses can recommend their colleagues, friends, or own partners and get a reward worth €50 as soon as we have received the signed partnership agreement. In this context, we will also be grateful for all recommendations by the Companists! We have already achieved many things with the help of your investments. Thanks very much for your confidence! However, we have not reached all of our goals yet and want to continue digitizing craftsman businesses in Germany, Austria, and Switzerland with your help.